The TS-440S, like probably a number of other radios, does not mute the microphone while you are using the rear audio connector for digital modes. So, unless you unplug the microphone each time you want to use the digital modes, shack noises will get on your signal while you transmit. 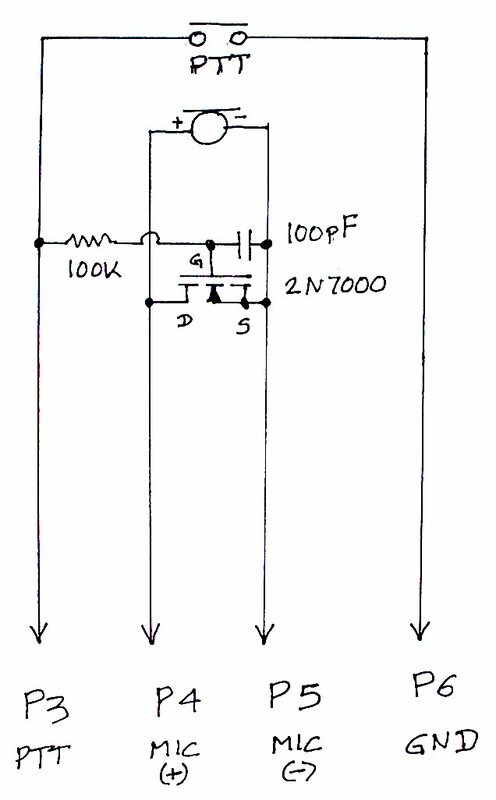 Here is the schematic of the simple modification I made to my stock Kenwood microphone so I do not have to unplug it from the TS-440 while I operate in the digital modes. With this modification, I can leave the microphone plugged in at all times, knowing that unless I depress the PPT key on the microphone, no audio will go to the transmit circuits. I was able to install the three components (a resistor, a capacitor and a small signal MOSFET, any similar part will work) inside the microphone case, with room to spare. I suppose other radios that have the same problem could be modified the same way.